The American Heart Association has recommended that doctors start asking emergency room visitors complaining of chest pain, whether they had been using cocaine. "Chest pain, have you been using cocaine, sir?" The American Heart Association has recommended that doctors ask certain people complaining of chest pain whether they had been using cocaine. Two common medications used in the emergency treatment of a heart attack can be deadly to a patient having a cocaine induced heart attack. Doctors are recommended to ask about cocaine use when atypical patients come in complaining of heart attack symptoms – particularly patients under the age of 45, and those without heart disease risk factors, such as smoking or obesity. American Heart Association statement author, Dr. James McCord, explains that there has been a significant increase in cocaine induced emergency room visits over the last several years, and that studies show that cocaine can both cause a heart attack, or make an existing heart attack more severe. 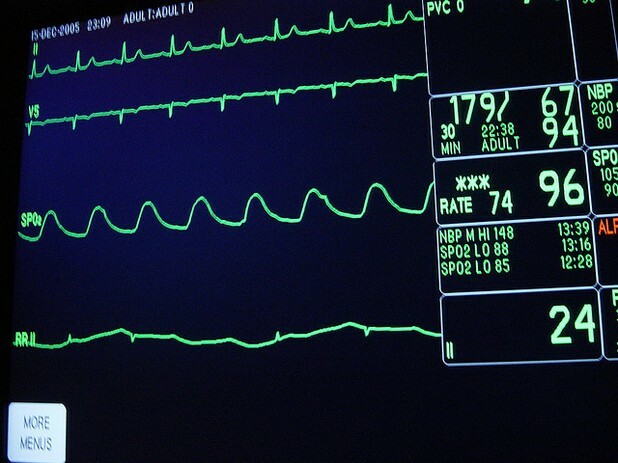 Cocaine causes an increased pulse rate, as well as creates an increased heart demand for oxygen. Conversely, cocaine constricts blood vessels, leading to a diminished supply of oxygen to the heart – and this combination can be deadly. Two drugs often used in the emergency treatment of a heart attack are Beta-blockers and clot busting drugs. Beta-blockers normally lower blood pressure without causing a further constriction of the arteries. In cocaine users, Beta-blockers seems to have the opposite effect, actually increasing blood pressure. In animal studies, the combination of Beta-blockers and cocaine has led to seizures and death. Clot busting drugs, when used by those high on cocaine, can lead to bleeding in the brain. The American Heart Association released the information in its organizational journal.